« Has The Tiger Been Tamed? 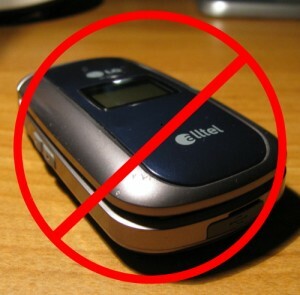 Put The Cell Phone Away! CHARLOTTE, NC – Fasten your seat belt, check both mirrors, put the cell phone in the glove compartment and now you are ready to commence driving. Get into the habit now because if you don’t, you may be setting yourself up for a ticket. This past week, North Carolina Gov. Bev Perdue signed into law a bill which forbids drivers of vehicles in the state of North Carolina to text or e-mail while driving. As of December 1st, 2009 any driver caught texting or e-mailing while driving will face a fine of $100 plus court fees. The violation will not add points to your driving record however and an insurance surcharge will not be assessed. The new law prohibits the use of any technology which provides cell phone access to a camera, e-mail, music, games and the Internet while driving – in other words: Put the cell phone away unless you need to make an emergency call. For once I am in total agreement with the Governor. I have seen too many of my personal friends and acquaintances have accidents and mishaps using a cell phone while driving after they had vowed their safety. One by one, all of them have had some sort of misfortune following a bout with the evil cell phone while operating a motor vehicle. As a matter of fact, one such compadre (a school superintendent who I will not name so as to conceal his identity and himself from any further embarrassment) actually drove off the rural road on which he was driving through a cotton field on his own property and into the side of his own barn where he was greeted no doubt by a herd of his chuckling bovines. Luckily, he escaped with no major physical harm but his ego was certainly damaged and he can’t look his cows straight in the eye anymore. I want to see the law go another step further and forbid the use of cell phones while driving PERIOD. Put the cotton-pickin’ contraption in the glove compartment for Heaven’s sake and just wait a few minutes to get your cell phone fix. Yes, I hear y’all…What if there’s an emergency? Well, get the phone and call 911. My law would allow 911 calls if they can be proven via phone records. A young buckaroo actually said to me the other evening, “I think it’s an okay law I guess…I wouldn’t want to hit a tree and wreck my truck.” No, youngin’, you wouldn’t I said. I guess he didn’t even thing about the possibility of hurting someone else, any stray farm animals, pedestrians, cyclists, hosts of wild animals, wayward hitchhikers…or HIMSELF! So, please, for the sake of the poor stray canine wandering along the side of the road looking for a place to sleep for the night if not for the sake of someone else, while driving, put the cell phone somewhere within reach but do not use unless in an emergency. For those of you who yourself or a loved one have serious issues with not being able to stop talking while driving, I urge you to check out http://www.zoomsafer.com/, ZoomSafer is a software program that will recognize when your vehicle is moving and will not allow the cell phone to work. It is a highly acclaimed, simple piece of software that just may save your or a loved one’s life. It has been incorrectly referred to as ZoomSafety on national news broadcasts such as CNN and FOX, but is actually named ZoomSafer. Visit the site here. Just think about it, how would you like to look up and see a herd of cackling cattle laughing at you? This entry was posted on Sunday, December 6th, 2009 at 8:15 am and is filed under Opinions. You can follow any responses to this entry through the RSS 2.0 feed. You can leave a response, or trackback from your own site.